Reinforced Dress Belt with steel core prevents waistline sag from a holstered firearm. 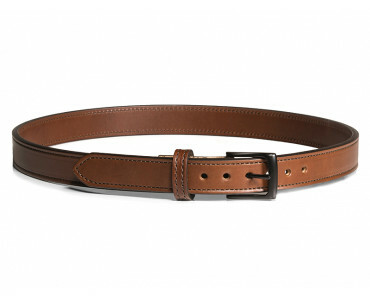 Slim Gun Belt - 1.25-inch width fits most slacks and dress attire. 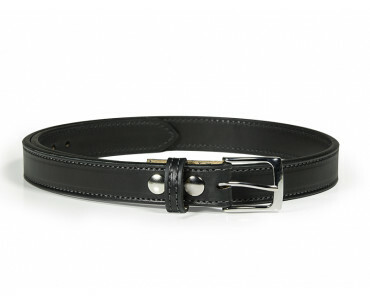 Leather Dress Gun belts made from English bridle leather presents a sharp and professional appearance. 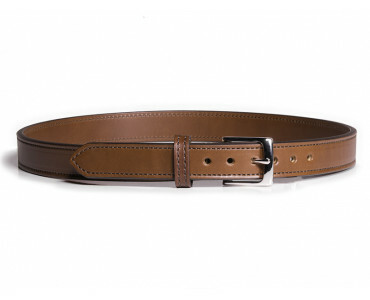 Slim Dress Gun Belt - 1.25-inch width fits most slacks and formal belt loops. Reinforced Dress Belt with Steel core provides relentless support when carrying. Choose from three corrosive resistant belt buckle finishes to complete your look. Bigfoot Gunbelts introduces a new, fashion conscious, custom look with three new buckles designed specifically for our reinforced dress belt line. Our new belt buckles will help you dress to impress in flat black, nickel, or antique brass. Our dress belt buckles are made strong and paired with custom hardware to match in black or nickel to complete a timeless, custom look, all 3 are corrosive resistant. Carry your firearm with confidence in a stylish look that goes to the office or a night on the town.